At Havant & South Downs College, we have a number of highly skilled, dedicated and passionate teaching staff. These lecturers go above and beyond to help our students reach their full potential. We want to shout about these integral members of our HSDC community, so every month we will be finding out about the people behind our teaching excellence with our ‘Staff in the Spotlight’ feature. This month we are recognising Victoria Luke who is a Musical Theatre lecturer. How long have you worked at the College? Why did you choose the subject that you teach? I am passionate about musical theatre and enjoy directing and writing in the genre. My main subject area is singing and music and I love watching my students grow as performers in confidence and in their skills. What was your journey/training before coming to HSDC? I studied at Trinity College of Music and then at the Guildhall School of Music on a degree and postgraduate course. Do you practice the subject you teach outside of work? I regularly direct for local amateur companies, mainly at The Nuffield Theatre, Southampton. I am also currently involved in writing a new musical for children. What is the highlight of your role at HSDC? I enjoy all of the shows that the students perform in and also going to see our alumni who are performing professionally in the West End and across the country. What kind of careers have your students gone on to do? Many of our students are performing in the West End and on cruise ships as well as in theatres across the country and abroad. However, I am equally proud of all of our students who use their transferable skills learnt on the course in other employment areas such as recruitment, police enforcement, hospitality and the holiday industry. What kind of opportunities are offered on your course? Students have the opportunity to perform in major performances and also take part in workshops with industry professionals. 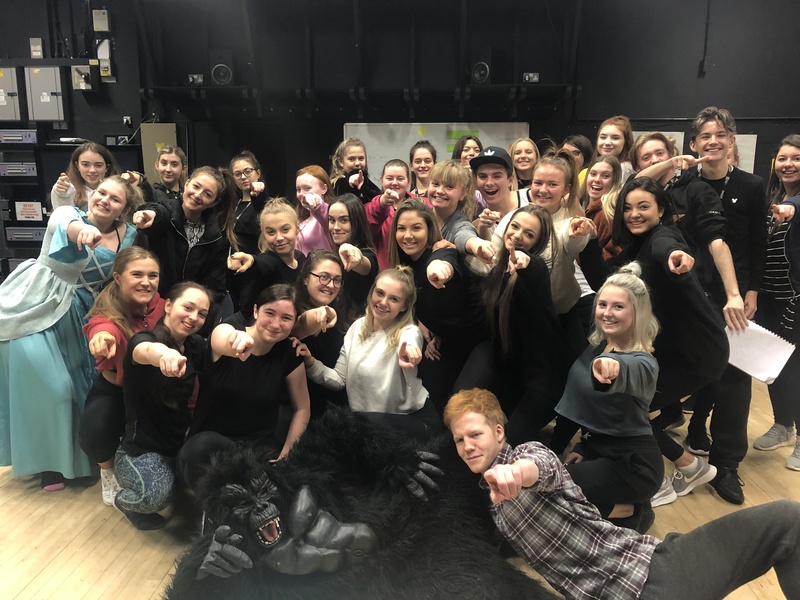 We also get students involved with opportunities in the wider community such as working with the emergency services as actors on their training days and working in the media industry, for example, past students have appeared in the Les Misérables film. Students have been taken on residential trips to London and New York as well as Disneyland Paris which is one of our main employers for students leaving College. We also arrange auditions at College for Higher Education opportunities and with Butlins who also employ our students on completion of their course. What three words would your students use to describe you? Read about more of our fantastic teaching staff by clicking here.